Driven+ Magazine Issue 6 - download to win a car! Home » Special Coverage » 2013 KL Motor Show » Driven+ Magazine Issue 6 – download to win a car! Driven+ Magazine Issue 6 – download to win a car! Now here’s something we’ve never done before. We’re giving you a chance to win a brand new Proton Saga SV when you download the latest Driven+ issue for the duration of the 2013 KL International Motor Show. How does it work? Well, details are inside. 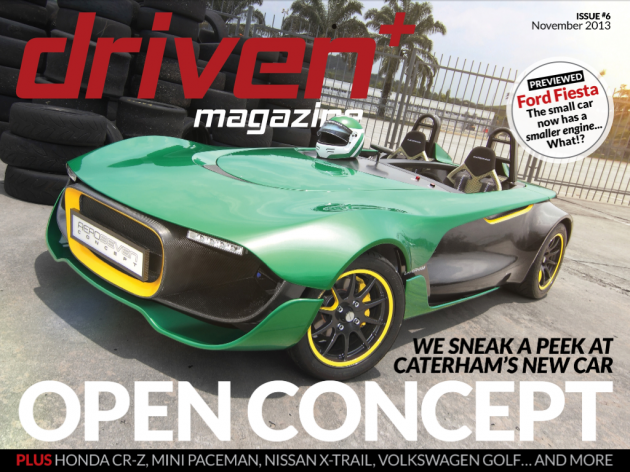 Going back to our normal programming, if you can call it that, this month’s Driven+ brings you the money-can’t-buy-yet Caterham AeroSeven and the Mazda6, the car that’s as exciting to drive as it looks. 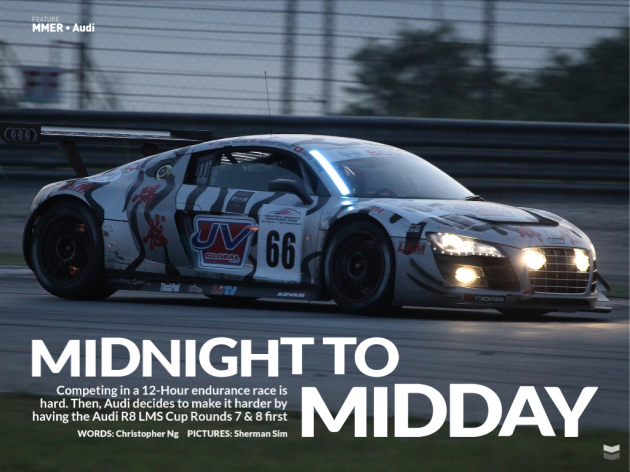 Then, we turn our attention to the Merdeka Millennium Endurance Race where we covered Nissan’s bid for the race and then took a peek at Audi’s lineup for the 12-hour race. Just in case you are a fan, you’ll be delighted to know that we also had a chat with the one, the only Aaron Kwok. He talked about his participation in the race and his future plans. We also bring you the lowdown on the Volkswagen Golf Mk7, the 2013 Honda CR-Z, Nissan’s X-Trail and the out-of-this-world MINI Paceman. Are any of them any good? Tell us what you think and win a prize. Up for grabs next month is the snazzy HTC Bluetooth Speaker. To win it, all you have to do is write in. We publish all letters but only the best will win. So, send emails to letters@driven.com.my now. P.S. Unfortunately, due to shipping costs, only residents in Malaysia are eligible to win. Sorry. If I win this car Proton SV it will be the ever first property under my name.Thank you Lord. If I win this car Proton SV it will be the first ever property under my name.Malaysian car for the Malaysian like me. Thank you Lord.